This book does NOT deal with typing, filing, or clerical work. Instead, it’s a desk manual of people skills for those executive assistants and office managers—whatever their title—who spend more of their time shuffling people than paper. When executives speak glowingly of their assistants, keyboard speed or expense-report accuracy is seldom mentioned. In fact, minimal skills such as these are assumed. Rather, the skills bosses prize most highly involve planning, organizing, and communicating clearly both on paper and in person. Now that technology has freed the assistant from much of the drudge work, the emphasis, more than ever, is on relating well to people and working effectively with teams. 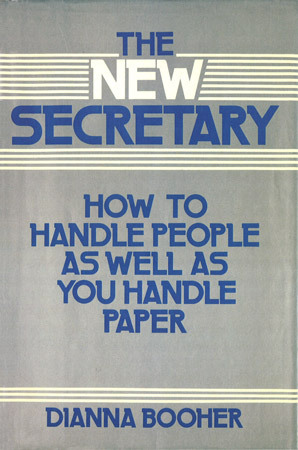 People skills can be taught, and that’s why The New Secretary belongs on your desk, within easy reach. How can I act credibly as my boss’s representative? How do I point out my boss’s mistakes without alienating her? How can I get cooperation from other departments when they have priorities other than mine? When, what, why, and how should I delegate work? How should I handle problem personalities, such as the office flirt or office gossip? How should I set up and run an effective meeting? How should I handle an unwanted visitor? You’ll find yourself consulting The New Secretary often for advice on a whole range of subjects, and your boss will find you a more valuable (and promotable) assistant as a result.